You’re an original. How about your chandelier? Let your imagination run wild. Explore our endless customization options. We’ll help you create a chandelier that’s truly yours. Besides customizing one of our traditional crystal chandeliers just for you, we can also manufacture any glass or crystal lighting you require based on a picture or a sketch on a piece of paper. You can see some of our bespoke pieces in our project catalogue. 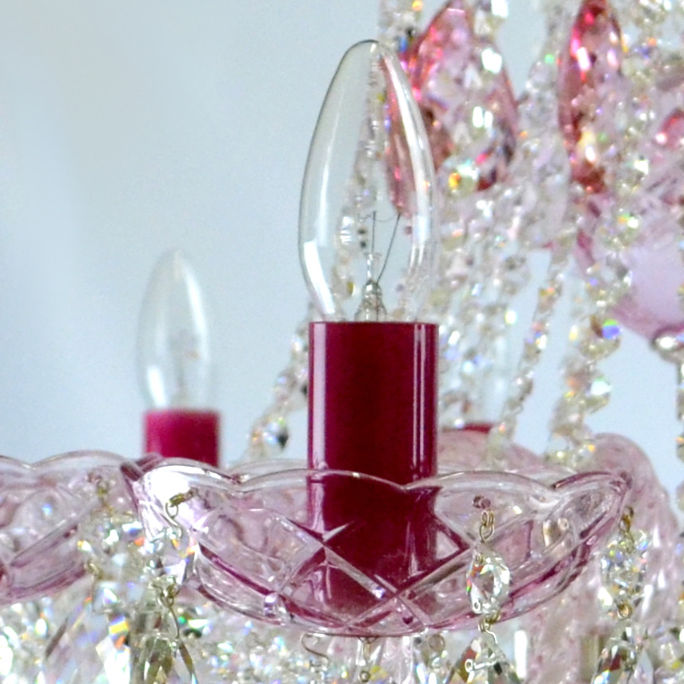 We can colour any crystal parts of your chandelier. There are two primary ways of crystal colouring. The first one is metal coating that creates beautiful reflecting colours but is limited in the colour possibilities. The second option, however, allows us to exactly match any shade of every colour - of your carpet, furniture, ceiling, or a car. It’s often a good idea to create colour combinations. For example, you can decide to have crystal parts such as arms, bowls and vases in one colour, and the crystal trimmings in another. 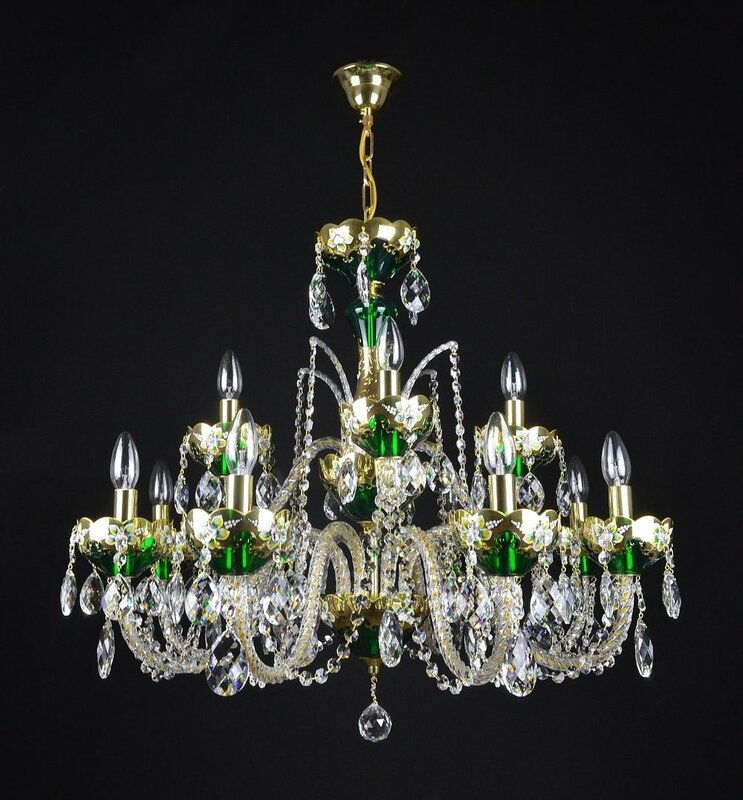 The main metal parts on a crystal arm chandelier include the ceiling canopy, chain, as well as connecting parts and base parts. The brass chandeliers also often feature other parts such as brass arms, brass bowls, or brass vases. Similarly with the crystals, we can achieve virtually any colour of the metal but the most typical colours of the metal include golden, silver and an antique colour. The candle holders come in multiple colours and materials. It is possible to use metallic or glass candleholders. The colour possibilities are almost unlimited - from the traditional white, silver, golden or antique candle holders to the less common black, blue, or any other colour. We also work with adornments to the candle holders that imitate a melted wax or simply serve as an additional decoration. There are three main lampshade fabrics that we work with - pleated Organza, Chintz and Orka. Pleated Organza is the more luxurious and expensive of the three and it is a thin elegant fabric. Chintz and Orka are more versatile options as they allow for more customization in terms of decorative rims around the shade, or a contrasting inner colour. Orka shades also come with a decorative outer pattern unlike the Chintz. We’re capable of fully customizing the dimensions of all the shades as well as customizing their colour. 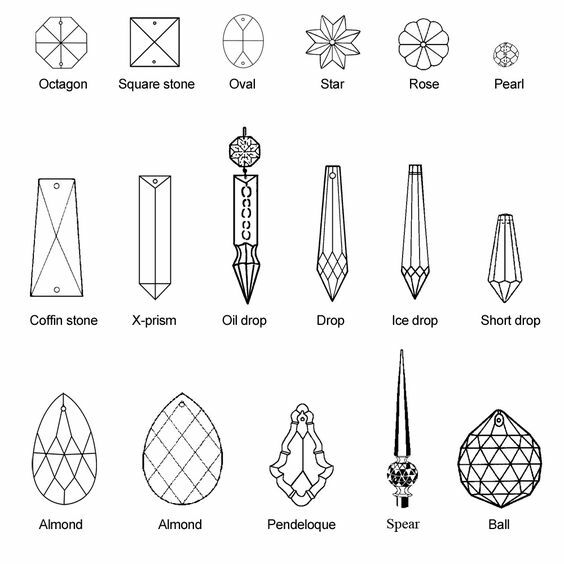 Almonds, pendalogue, drops, prisms, octagons, raut balls and more crystal shapes are available to you. 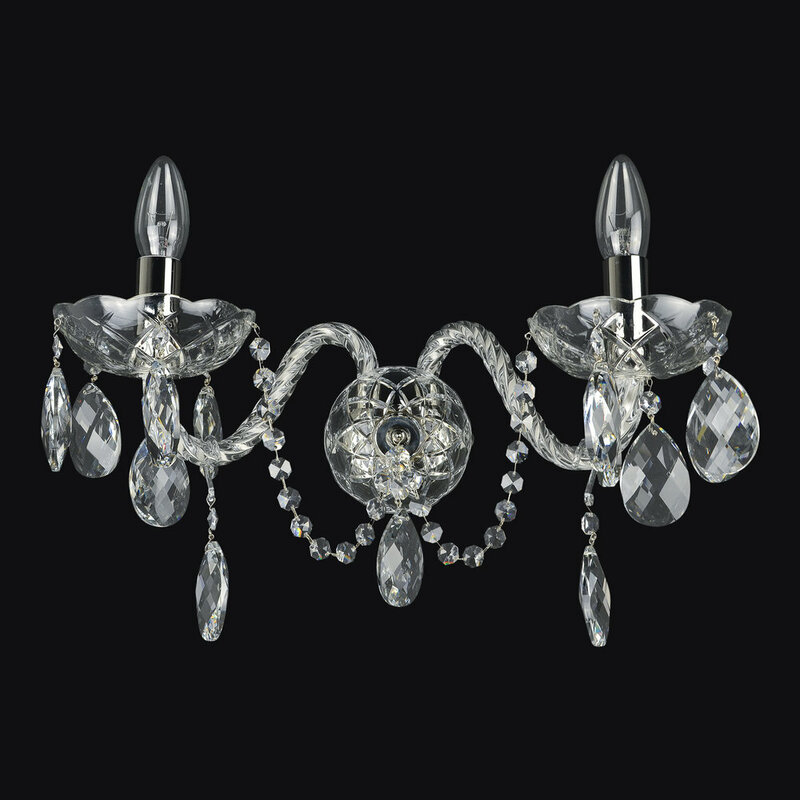 There are many crystal shapes we can use to customize your chandelier and give it a unique, personal touch. We will adjust the size and scale of the individual chandelier parts and the number of lights to fit perfectly within your size requirements. 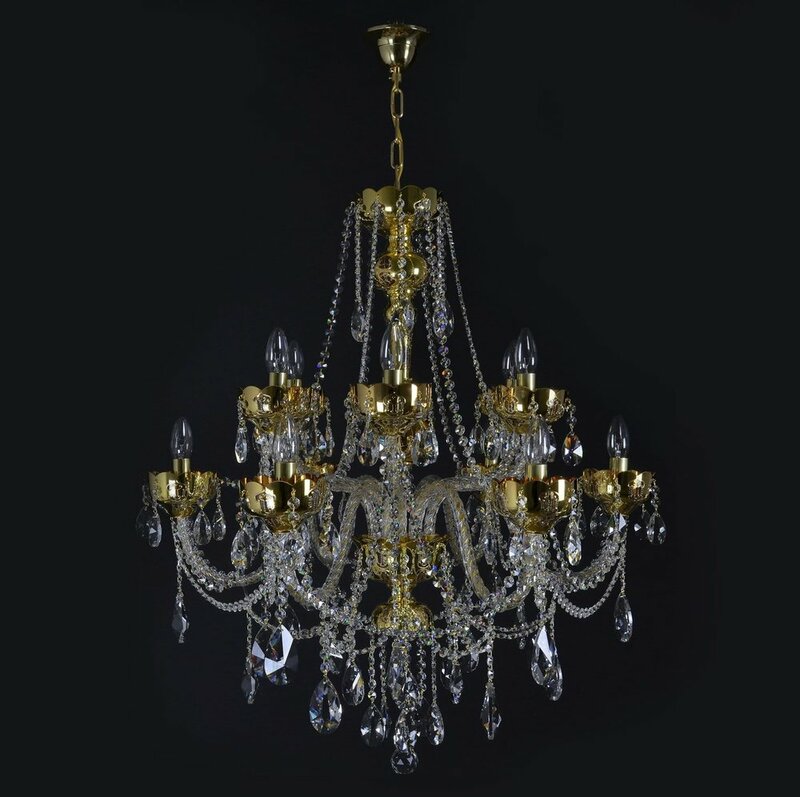 As a result, you may have a complete chandelier “family” in different sizes, or a large chandelier that you love in a smaller size you require. 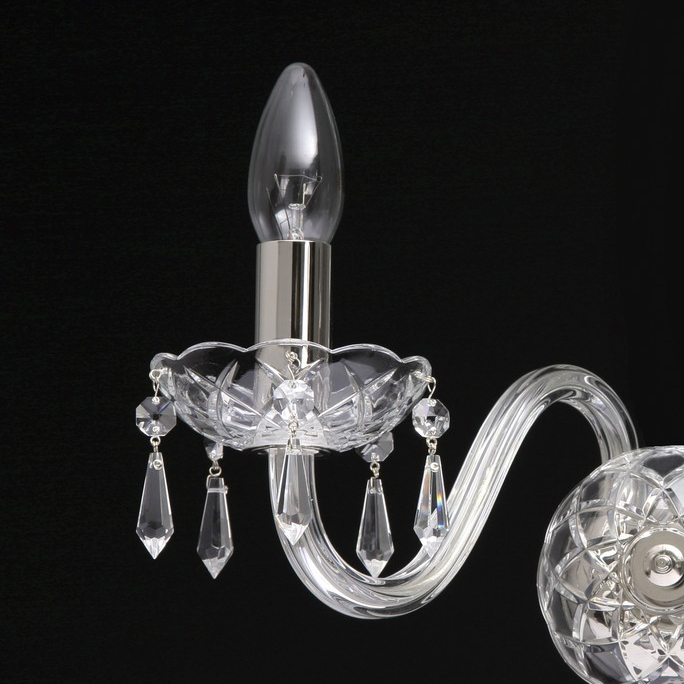 Apart from manufacturing chandeliers in all kind of dimensions, we also make matching collection lights. 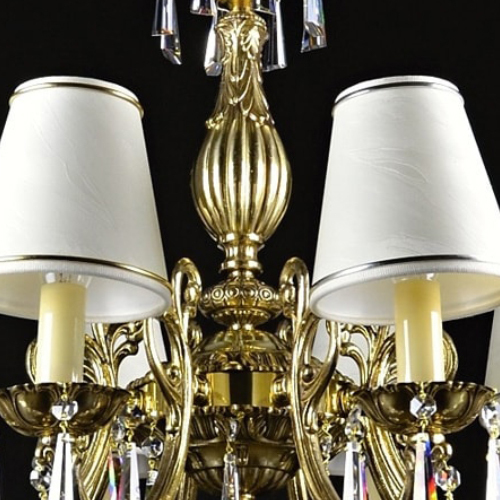 The chandelier of your dream will come with the matching wall lights, as well as table and floor lamps.